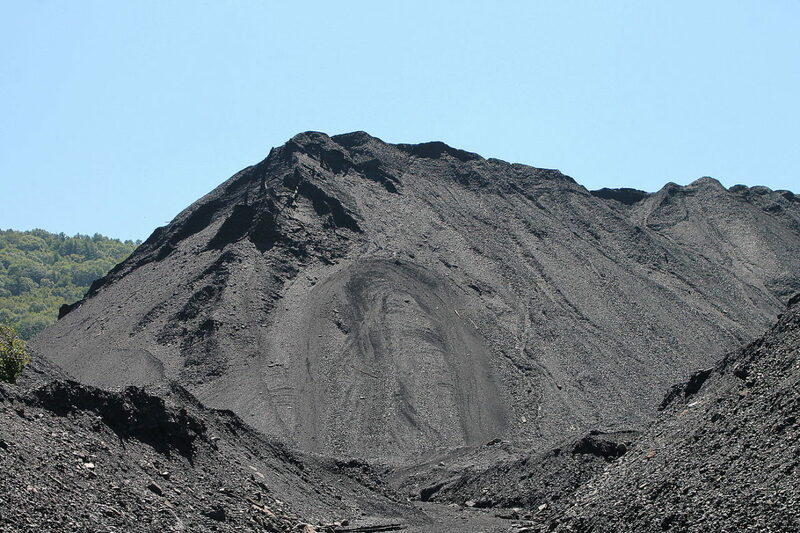 Coal ash, also called Coal Combustion Waste (CCW) or Coal Combustion Residuals (CCR), is one of the largest types of industrial waste produced in the U.S. In 2016 U.S. coal plants produced 107 million tons of coal ash. About 60 million tons were reused for industrial products like cement and construction materials, leaving 47 million tons left over as waste. Coal ash contains a stew of toxic chemicals and heavy metals including arsenic, lead, mercury, cadmium, chromium, selenium, aluminum, boron, chlorine, cobalt, manganese, thallium, and zinc. Toxins in coal ash can cause cancer, heart damage, lung disease, cognitive impairment, reproductive problems, kidney disease, gastrointestinal illness, birth defects, and impaired bone growth in children. Heavy metals don’t degrade over time, and bioaccumulate in animals and the food chain. Almost all coal-powered electricity plants store their coal ash in dry landfills or water-filled ponds called impoundments. Most of these impoundments are more than 25 years old, and many have been in place for more than 50 years. The bottoms of the older ponds are typically unlined, and at many sites the water table is higher than the bottom of the ponds, allowing groundwater to flow through the impoundments. Because coal plants need large amounts of water for cooling, they are often located next to rivers and lakes. Groundwater flowing through impoundments carries contaminants from the coal ash into public water sources, including major rivers like the Ohio and the Mississippi. Groundwater sampling and coal power company reports confirm that toxic inorganic chemicals and heavy metals are leaching from both active and retired coal ash facilities and contaminating groundwater at the vast majority of coal ash impoundments across the U.S.
COAL ASH DAMAGE CASES, U.S.
Documented Coal Ash Damage Cases as of February 2014. Click on a location for data on each site, including known pollutants exceeding standards. Data was compiled by Earthjustice from public sources. Illinois has 24 active and retired coal power plants and a total of 83 impoundments Fewer than a third are lined to limit contamination of groundwater. Finding comprehensive information about coal ash disposal sites can be very challenging. The 2015 federal Coal Ash Rule requires active coal ash impoundments to monitor groundwater, and to post contamination compliance reports on a publicly-accessible website. The U.S. EPA maintains a list of publicly accessible internet sites hosting compliance data required by the rule. But many sites aren’t covered by Coal Ash Rule because they were retired or inactive when the rule was issued. The Environmental Integrity Project compiled a database called Ashtracker, which supplements data required by the Coal Ash Rule with groundwater reports required by various states.